Over the years we have built up massive collections of photos and music that requires us to buy devices with larger storage to hold them, well you don't have to anymore. Sure you can buy a 128GB iPhone or a Macbook Pro with 512GB flash storage, but the cost of these devices is not in everyone's budget. The latest version of Mac OS X (Yosemite) and iOS 8.4 lets you keep everything in iCloud and stream down only what you need. I know a lot of you reading this are thinking "But my iCloud is already full", yes Apple only gives you 5GB to start with, but that's more than what you get with a free Dropbox account. Aaffordable options to buy more storage are available that can even be paid for with your iTunes credit. There are other cloud storage products out there, but I'll explain why iCloud is the best if you have Apple devices. As illustrated in the picture, the same photos app works across all your Apple devices, it even works on Windows via the web. Those who are familiar with iPhoto know about the great features for creating projects, photo books and slideshows. All these features are now available, even on your iPhone, along with professional editing tools borrowed from Aperture. All changes are synced across everything in real time. Another feature is the ability to optimise storage on the device you are using. For example, if you have a 16GB iPhone or iPad and you want to view your entire 70GB photo library on the go, you can. How is this possible? Well it’s through the magic of iCloud. The new Photos app will only store thumbnails of your images on the iPhone or iPad and download on-the-fly what you need. Also, photos you have taken on the iPhone will be uploaded to iCloud. If you need more space on the iPhone then the app will intelligently remove the local copies of photos you are not using anymore. Screenshots don't need to stay on the phone but will be available on iCloud should you need to use them again. The best thing is once it is setup, you don't need to remember to delete or download photos on your device as the available storage changes, Apple with take care of that for you. If you iPhone needs to be erased, rest assured the photos will still be waiting for you when you get up and running again. To enable this feature from your iPhone or iPad, open the settings app then select iCloud settings. 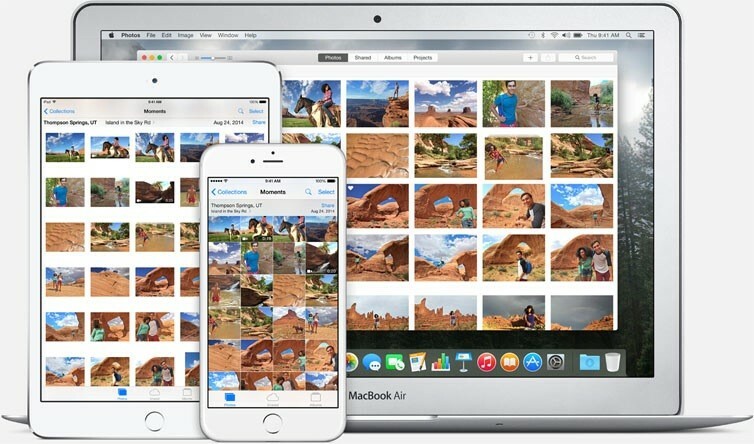 Tap on the Photos setting and make sure iCloud Photo Library is turned on. Once enabled, another set of options will appear, select Optimise iPhone/iPad Storage. Download and Keep originals option will attempt to download your entire photo library and save it on your iPhone, (not recommended for 16GB devices), but will still keep a copy in iCloud until you delete them. There's even a recently deleted folder that works like a recycle bin, in case you accidentally deleted a photo from a device. This option to turn on iCloud Photo Library and Optimise Storage can be enabled on the Mac under the preferences for the Photos app. Handy for those smaller 128GB flash drives. Apple has just made a move into the streaming music scene and has brought some useful tools with it. Apart from having Apple's massive music database available at your fingertips, your own music that has been purchased or ripped is also available to you anywhere and on any device. Apple music is a subscription service for music on demand, included with that is the option to upload your entire existing music library from your Mac or PC to iCloud. The principle is the same as the Photos app, you can select the songs you want to listen to and Apple will manage the storage on that device for you. For songs that you want to listen to all the time you can make them available offline. This is especially useful on your 16GB iPhone when you have a song stuck in your head, but haven't added it to a playlist you have synced. Just search for the song and tap play to start listening. Even whole playlists that aren't synced can be streamed over Apple Music. This feature was only available previously in iTunes Match, and is still available if you do not want the extra features of Apple Music. But you don't need to have both services in order to listen to your own music on the go. To use Apple Music you will need the latest version of iTunes on your Mac or PC and at least iOS 8.4 on your iPhone and iPad. These two apps, Photos and Apple Music, with their iCloud libraries turned on, will free up valuable space for you to download new apps. Yet you don't lose any of your content in the process. You can even delete local copies of music on your mac or PC once synced to Apple Music, and stream what you want to listen too. One of the most commonly used, yet understated feature, is iCloud backup. Once turned on, you only need to be connected to WiFi and a charger for you to be backing up your valuable information to iCloud. This goes beyond the photos and music stored on your iPhone or iPad, but also application data, contacts, email, calendars, notes, phone and message history. Even the easy to forget email and WiFi settings. If you do have to wipe your device to free up space, you can restore all the important stuff back just by logging on with your Apple ID. 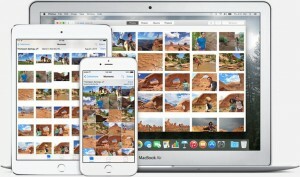 iCloud.com has recently introduced a new feature that lets your restore data from an earlier time. Think of it as Time Machine for iCloud. If you lose a file or your calendar suddenly shows a whole lot of duplicates, then you can revert back to when everything was fine. iCloud will sync the change across everything so you don’t have to waste time fixing it on multiple devices. Photos and iCloud backup both use part of your free 5GB or storage. As mentioned earlier, additional iCloud storage can be purchased, for as little as $1.29 a month. 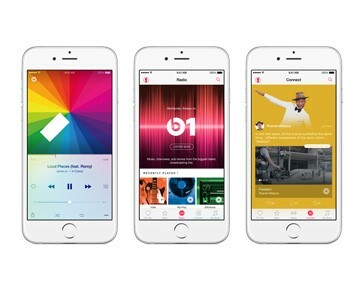 You can even use iTunes gift cards to buy storage or subscribe to Apple Music. And you can be certain that Apple takes your privacy very seriously. Your personal information is not used for marketing purposes and is kept encrypted on Apple's servers.